Beautiful ceramic 'I'm a unicorn' mug. 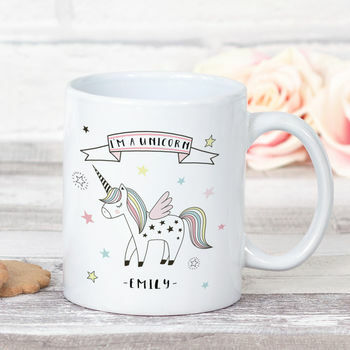 This colourful 'I'm a unicorn' mug is perfect for all your unicorn loving friends and family! 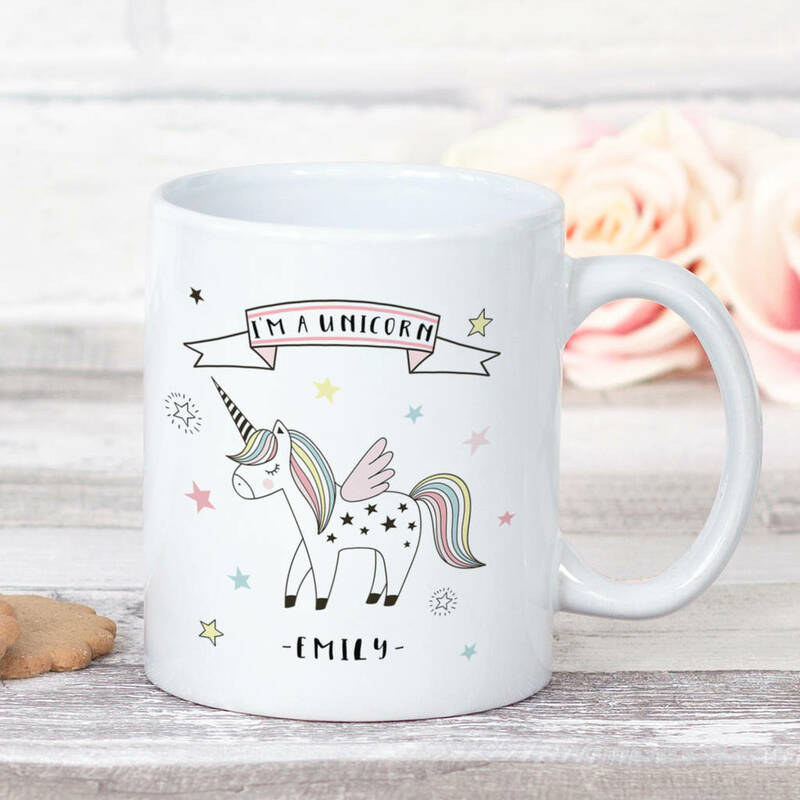 This pretty ceramic mug features a hand drawn unicorn which is printed the same on both sides and stars all the way around the mug. This design is also available in a matching high gloss hardboard coaster.